African American soldier, ca. 1860-1870, Gladstone Collection of African American Photographs, courtesy of the Library of Congress. 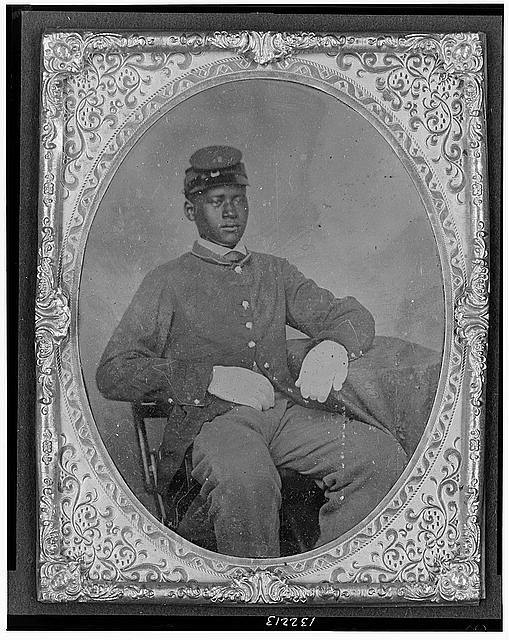 Unit Four: Freedom, Black Soldiers, and the Union Military details how black soldiers in the Union Army played a significant political role both during the Civil War and in African American leadership in the post-emancipation period. The Unit Four educational documents listed on the left feature excerpts of various primary source documents and first hand accounts that provide in depth insights into the significance of black Union soldiers in North and South Carolina.